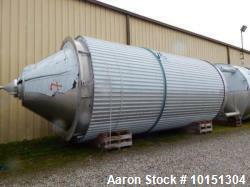 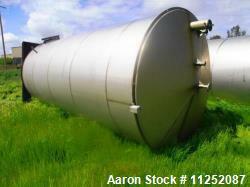 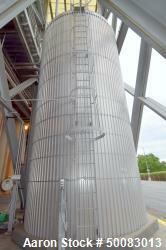 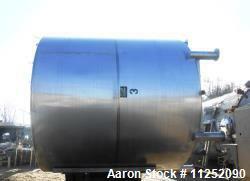 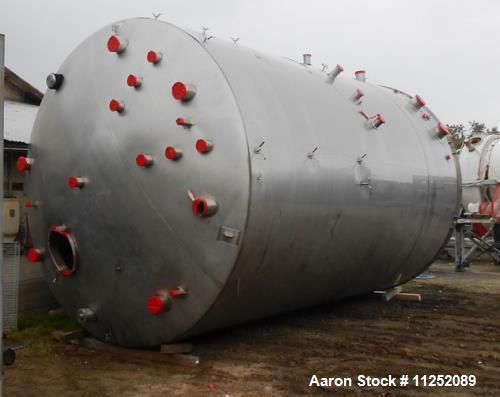 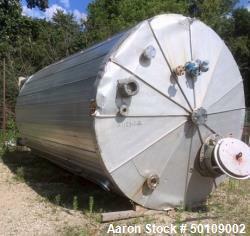 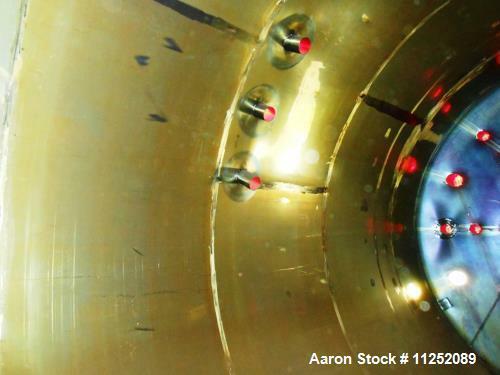 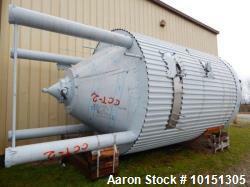 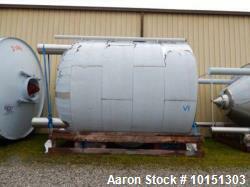 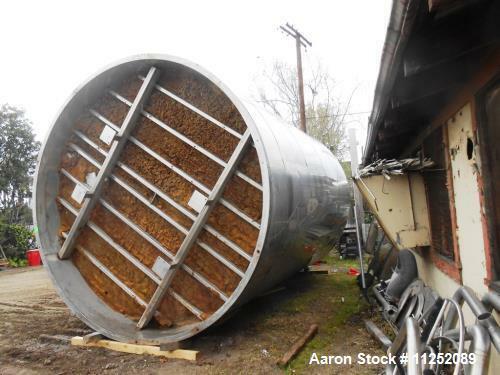 Used Quality Mfg 13,750 gallon stainless steel tank measuring 11' diameter x 18' straight side with sloped bottom and cone top. 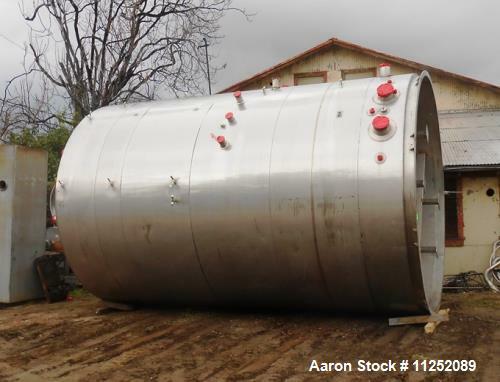 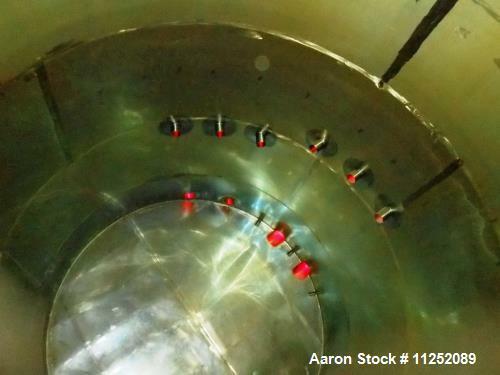 Unit has (2) 10" side bottom discharge, 20" top manway (less door), (8) 6" and (7) 4" top inlets, (6) 4" middle inlets and (2) 6" inlets. 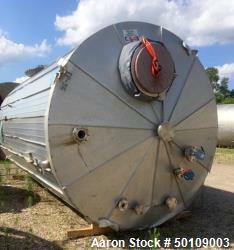 Unit has (3) 2" sanitary fittings, skirt bottom. 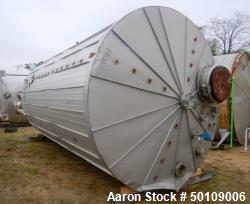 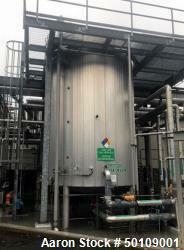 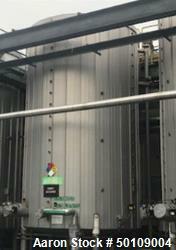 previously used at a soda facility.